Marino will hold their annual Gala Holiday Fashion Show at Almansor Court Banquet Facility, 700 South Almansor St., Alhambra. “Our annual event usually attracts more than three hundred people and in addition to a fun fashion show there are wonderful clothing and jewelry vendors on hand for shopping – - it’s a great way to buy holiday gifts and have lots of fun. 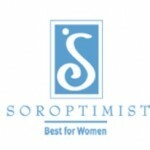 Everyone is welcome,” said Soroptimist Fashion Show Coordinator, Jacqueline Coulette. past has included items such as sporting event tickets and accommodations for a week-end get- away. The Gala Holiday Fashion Show tickets are $45 per person and tables of 10 are available for $450, which includes a business card size ad promoting your business in the souvenir program that every attendee receives at the event. 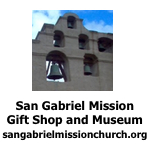 Information and reservations can be made online at www.sialhambra.org, by phone at (626) 570-3270 X5431, or by mail at P. O. Box 343, Alhambra CA 91802.